February 24, 2011 – I am sitting on our new Kitchen patio enjoying the afternoon sun here at Casa Madera Bed and Breakfast. What a treat to be able to sit here with the breeze coming off the ocean and not have 14 year palapa grass fall on my head among other things. 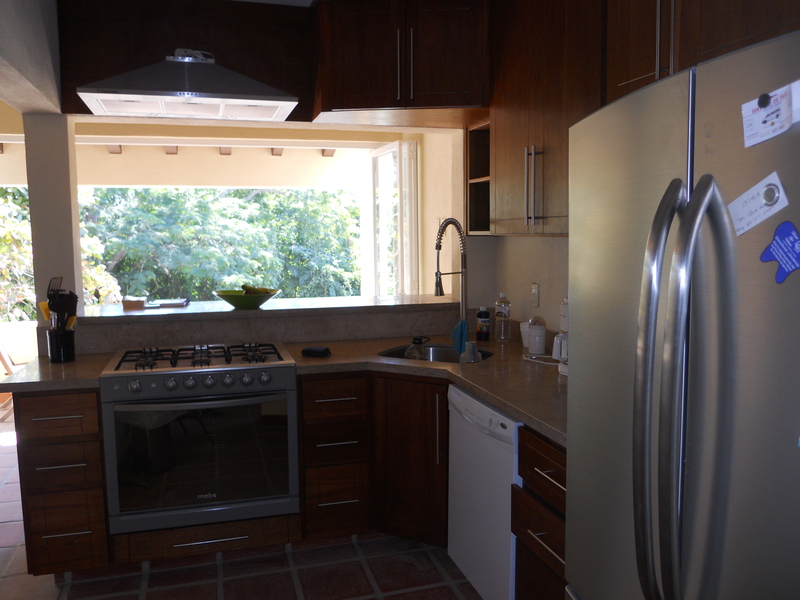 It has been a long haul but the kitchen renovation is finally finished. Man does it look good. 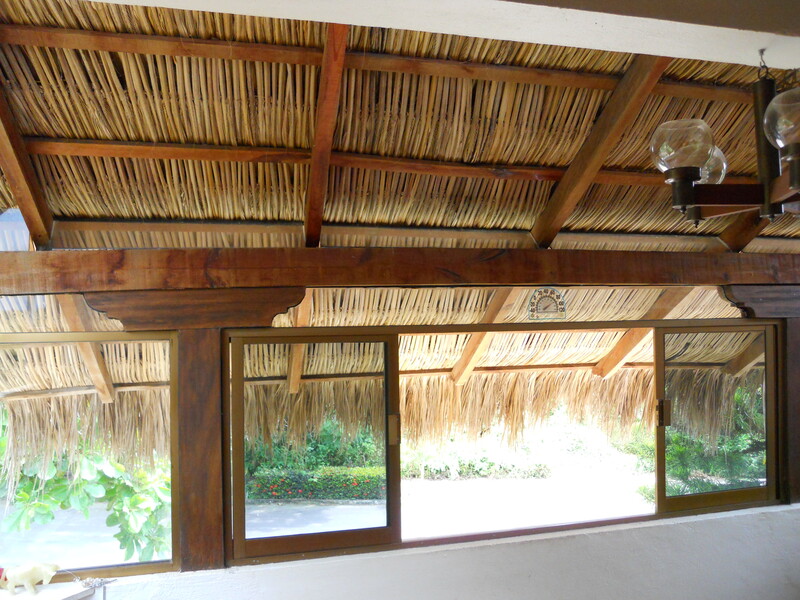 We put a lot of faith in Sergio, our architect and Chicho the cabinet-maker to do it right and they delivered. They took the most ridiculously designed 2 rooms I have ever seen and made them sparkle. They gave us actual usable space. It is a treat. There are only so many people who saw the kitchens we had been living with for the last 28 months. The two kitchens were so small that most of the kitchen items we brought down from Canada with us in November 2008 did not get unpacked until a week ago. The best part about the new kitchen is Heather is totally stoked to cook again with a real stove with burners that work and hey is that an oven! I am enjoying the rewards of having that stove and although my waistline may not approve I really don’t care! Heather was making some appetizers she had never made before last Friday for a wine reception that our friends at Vallarta Escapes host during high season. Watching her chop and seed some dried chili’s reminded me of the night we decided to try to cook a new mexican recipe in the condo…. December 2008 – We have been in town for 3 weeks. We are getting tired of restaurant food and making easy to cook items on our one burner hot plate. 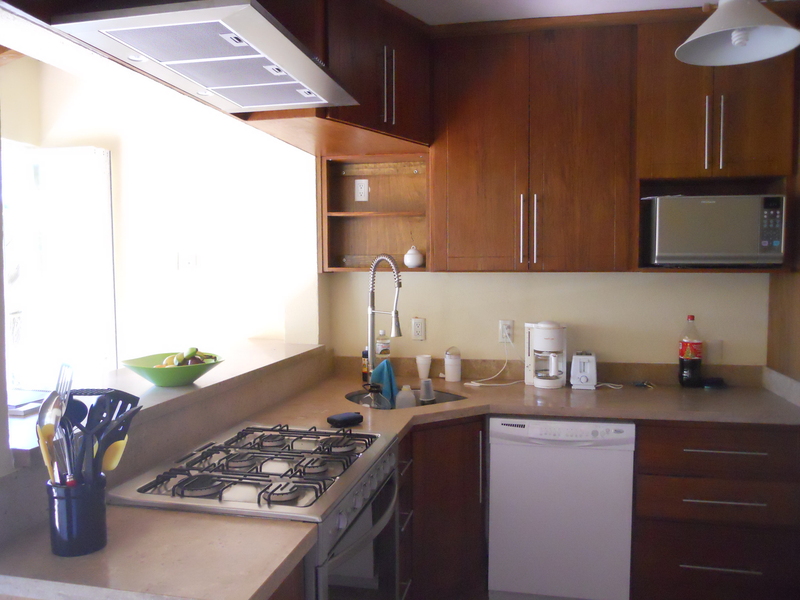 The kitchen in the condo is what one would call non-existent. 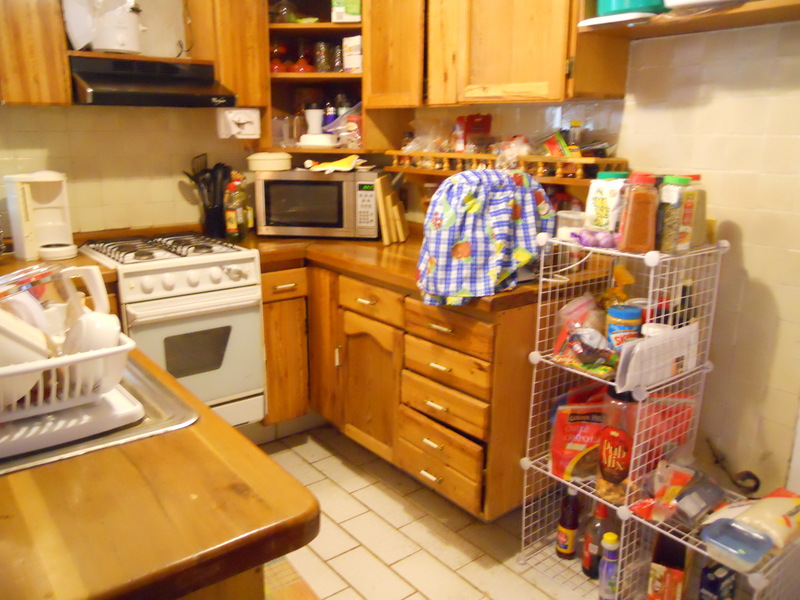 There is 3 feet of usable counter space. There is a small fridge, microwave and our pride and joy, the one burner hot plate. The one burner hot plate we brought with us from Canada. It was purchased as a stand by for when we needed more burner space. It was never used until we moved into the condo in Puerto Vallarta. 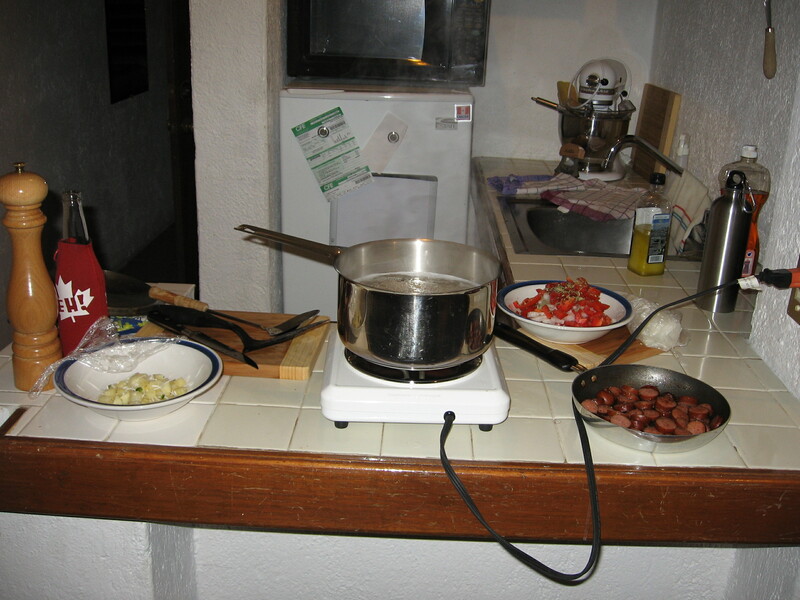 It was in Vallarta that we discovered that the one burner hot plate was built with Canadian safety standards in mind. What a pain those were. You would just get a pot of water for pasta to start boiling and it would shut down! Can’t let the little sucker overheat I guess. Something bad might happen, like your food would cook in under 3 hours! Oh well, it threw up a challenge but we eventually got used to it. Heather had brought a few cookbooks with her and one was Authentic Mexican by Rick Bayless. We found a marinade in the book that looked interesting and would translate well to meat that would have to be fried. The recipe included dried Ancho Chiles and dried Guanjillos Chiles. It called for them to be stemmed, seeded and deveined. So we started on that project. Now this was Sunday and it was hot so we were enjoying a cerveza while we worked on the chiles. Now there is one thing about cerveza that is well-known, you only rent it. So once we had the chiles done I headed down the hall to use the facilities. I did my business, washed my hands and returned to the kitchen to start pulverizing the remaining spices into a paste. It was about 3 minutes later that I started to get very uncomfortable. Uncomfortable changed in about 30 seconds to HOLY CRAP CERTAIN PARTS OF ME APPEAR TO BE ON FIRE! It was at this point I blasted down the hall, ripped off my clothes and jumped into a very cold shower. It was not helping. I tried soap, nope. No staving off this burning sensation. It was at that point that Heather showed up outside the shower, laughing so hard with tears streaming down her face carrying a bowl of Lala Strawberry Yoghurt. All I can say is thank god for Lala. Things cooled off in a hurry, so to speak. There was no permanent damage except to my ego. I knew better. How many times in your life to do you read, wear gloves when handling peppers. Well it applies to dry ones too folks. I learned the hard way. The emergency over we went back to the marinade though Heather had a really hard time concentrating on what she was doing for some reason, why I have no idea. Oh and through the pain of it all, the recipe was worth it! Author Kevin WoodPosted on February 24, 2011 Categories Starting new lifeTags Canada, Casa Madera Bed & Breakfast, Hot plate, Jalisco, Mexico, PuertoVallarta, Rick Bayless, States, Wal-Mart3 Comments on Ok, We are in Mexico, Let’s Cook Mexican!